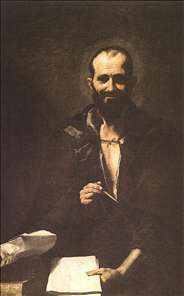 Jos (or Jusepe) de Ribera, Spanish painter, etcher, and draughtsman, active for all his known career in Italy, where he was called Lo Spagnoletto (the Little Spaniard). Little is known of his life before he settled in Naples (at the time a Spanish possession) in 1616. 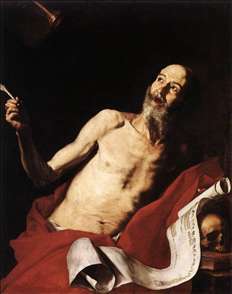 Naples was then one of the main centres of the Caravaggesque style, and Ribera is often described as one of Caravaggio s followers. 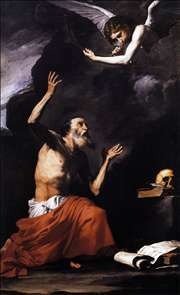 However, although his early work is markedly tenebrist, it is much more individual than that of most Caravaggesque artists, particularly in his vigorous and scratchy handling of paint. 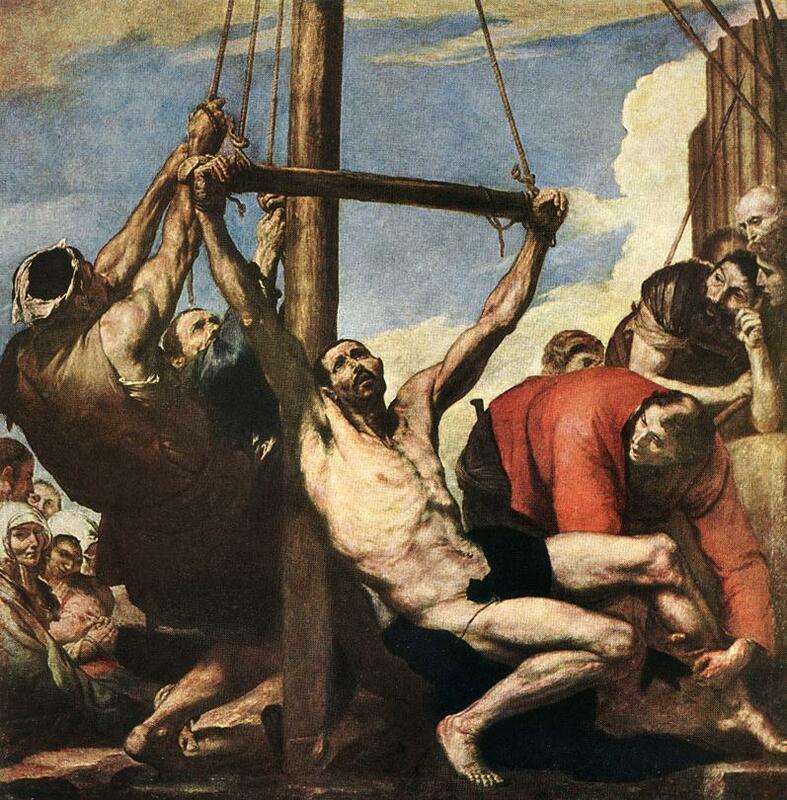 Similarly, his penchant for the typically Caravaggesque theme of bloody martyrdom has been overplayed, enshrined as it is in Byron s lines: Spagnoletto tainted/His brush with all the blood of all the sainted (Don Juan, xiii. 71). 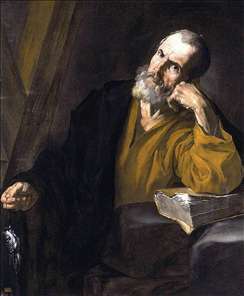 He undoubtedly painted some powerful pictures of this type, notably the celebrated Martyrdom of St Bartholomew (Prado, Madrid, c. 1630), but he was equally capable of great tenderness, as in The Adoration of the Shepherds (Louvre, Paris, 1650), and his work is remarkable for his feeling for individual humanity. Indeed, he laid the foundation of that respect for the dignity of the individual which was so important a feature of Spanish art from Velzquez to Goya. 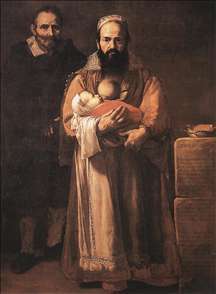 This feature of his work is evident also in the secular subjects, such as The Clubfooted Boy (Louvre, 1642). 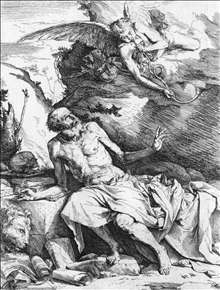 He was the first to breach the traditional Spanish dislike for mythological themes ( Apollo and Marsyas, Muses Royaux, Brussels, 1637), and he broadened the Baroque repertory by his series of philosophers depicted as beggars or vagabonds ( Archimedes, Prado, 1630). 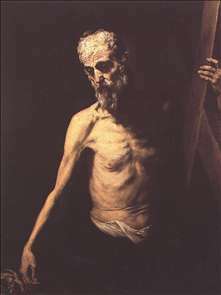 Ribera gradually moved away from his early tenebrist style, and his late works are often rich in colour and soft in modelling. 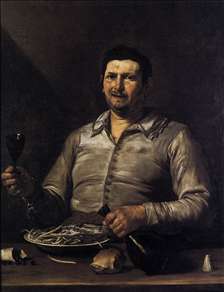 He was the leading painter in Naples in his period (Velzquez visited him during his second visit to Italy and probably during his first) and his work was influential in Spain (where much of it was exported) as well as in Italy. 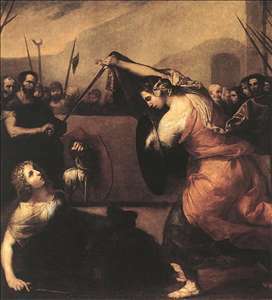 His reputation has remained high, and until the Napoleonic Wars he and Murillo were virtually the only Spanish painters who were widely known outside their native country. See more details about "Archimedes"
See more details about "Sense of Taste"
See more details about "Martyrdom of St Philip"
See more details about "Magdalena Ventura with Her Husband and Son"
See more details about "The Duel of Isabella de Carazzi and Diambra de Pottinella"
See more details about "St Jerome and the Angel"